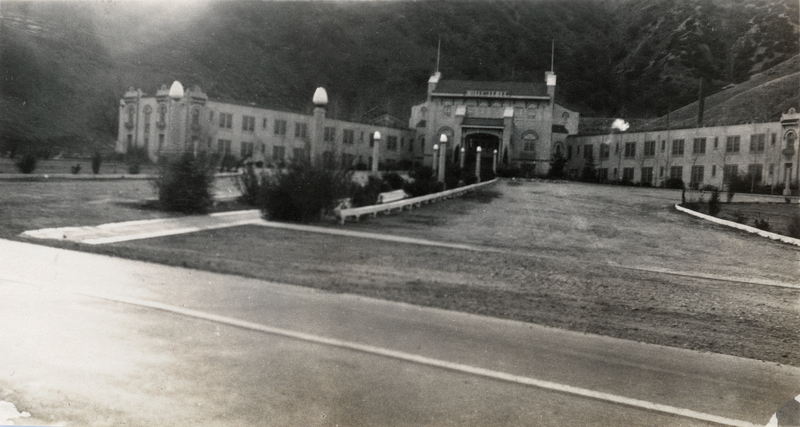 SCVHistory.com LW3449 | Ridge Route | Hotel Lebec at Sunset ~1920s. Hotel Lebec at sunset, probably 1920s. Small 3¾x2-inch print from an anonymous photo album, photographer unknown. Handwriting on back reads: "Lebec Lodge on Ridge Route." LW3449: 9600 dpi jpeg from original photograph purchased 2018 by Leon Worden.